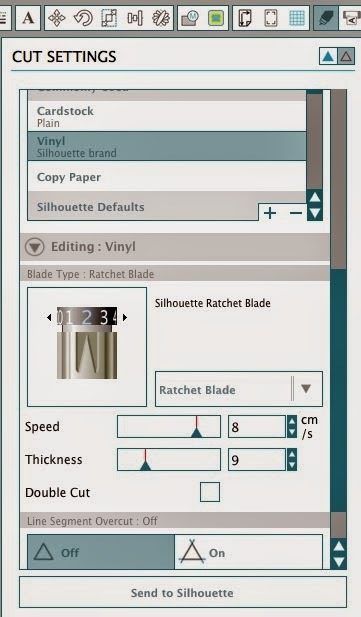 To find the recommend cut settings and blade height click on the Cut Settings Icon (in blue below). After you select your medium, and only after, you will get another scroll down bar on the right. If you scroll down further you will see the recommended cut settings. Importing Silhouette library to your computer. 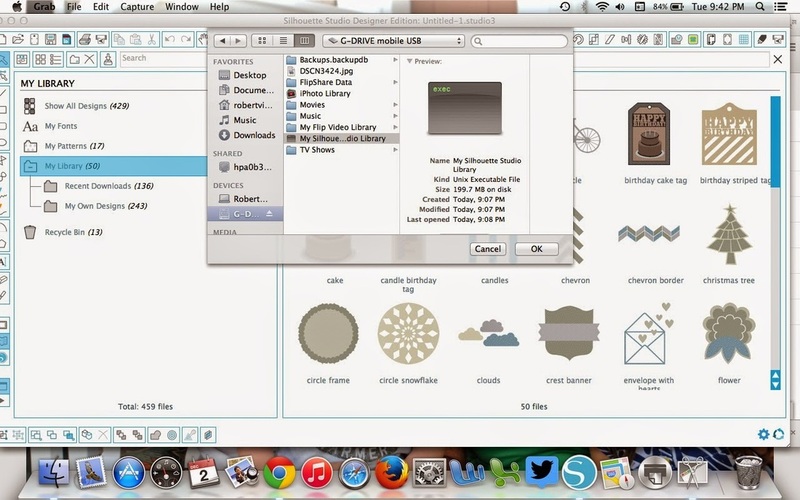 Open up Silhouette Studio on the computer and click on File > Library and select Import Library. Navigate to your library of files and click 'OK'.